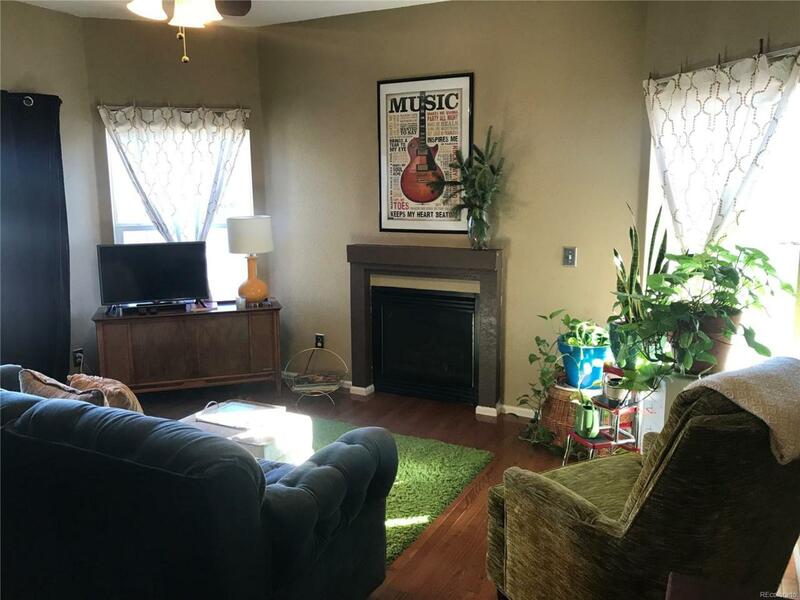 Cozy end unit condo! Open living room with an inviting gas fireplace. Enjoy the convenience of the washer and dryer that are included. Along with a new stainless steel refrigerator and dishwasher! Nice size master bedroom with a walk-in closet and large secondary bedroom with lots of natural sunlight! Newer hardwood and new ceramic tile floors throughout! New paint on exterior. New water heater, just installed. Storage unit is included. 1-reserved parking space and plenty of visitor parking. Just around the corner is the community pool that you can enjoy during hot summer months! Walking distance to schools! Great location!